Basalt sophomore Sierra Bower running at the state regional cross country meet at the Aspen Golf Course on Friday morning. Bower took first overall with a time of 20:03.50 and will be heading to State Championships. 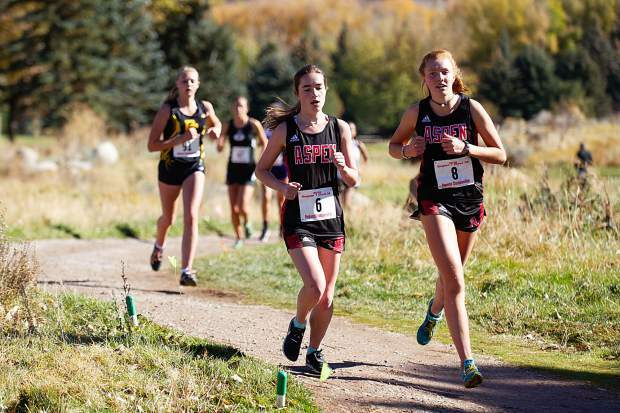 Aspen High sophomores Edie Sherlock, right, and Macy Hopkinson running at the state regional cross country meet at the Aspen Golf Course on Friday morning. Hopkinson placed 13th and Sherlock took 14th overall, both will be heading to the State Championship. 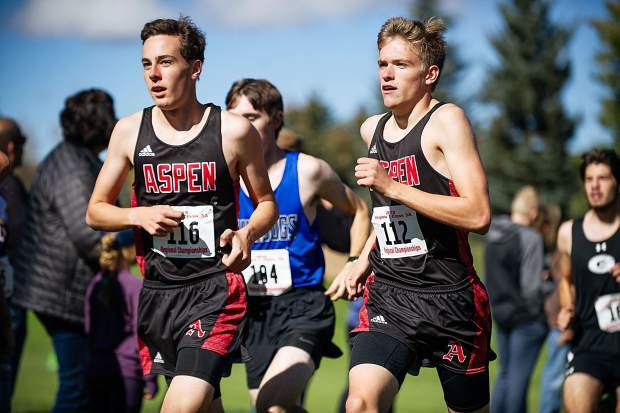 Aspen High seniors Everett Olson, left, and Nicholas Galambos running at the state regional cross-country meet at the Aspen Golf Course on Friday morning. Olson took 5th while Galambos claimed 9th. Basalt sophomore Sierra Bower running towards the finish line at the state regional cross country meet at the Aspen Golf Course on Friday morning. Bower took first overall with a time of 20:03.50 and will be heading to State Championships. Aspen High sophomore Kendall Clark running at the state regional cross country meet at the Aspen Golf Course on Friday morning. Clark placed 9th and will be heading to State. 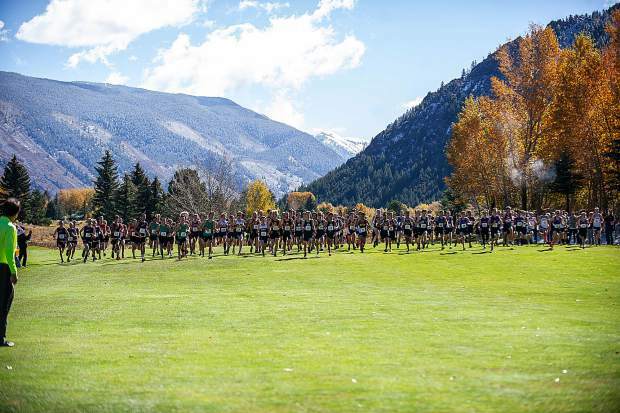 The start of the boys regional cross country meet at the Aspen Golf Course on Friday. 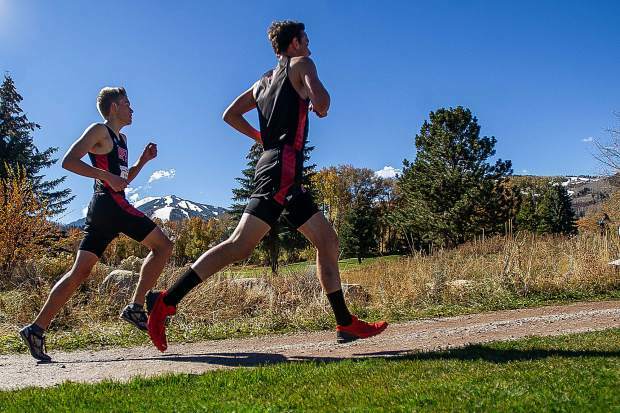 Aspen High seniors Everett Olson, right, and Nicholas Galambos running at the state regional cross-country meet at the Aspen Golf Course on Friday morning. Olson took 5th while Galambos claimed 9th. 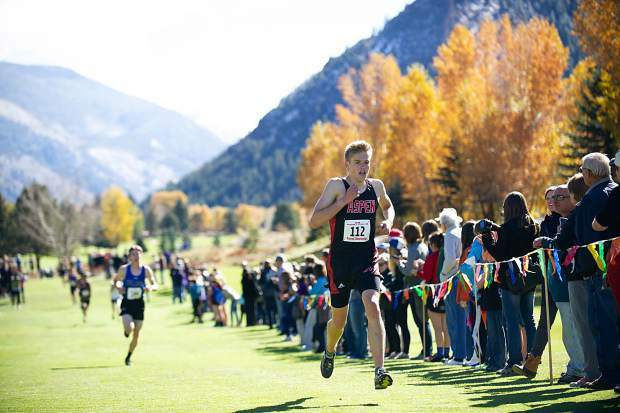 Aspen High senior Everett Olson crosses the finish line at the state regional cross-country meet at the Aspen Golf Course on Friday morning. Olson took 5th overall. Aspen High senior Nicholas Galambos nearing the finish line at the state regional cross-country meet at the Aspen Golf Course on Friday morning. Galambos took 9th overall. 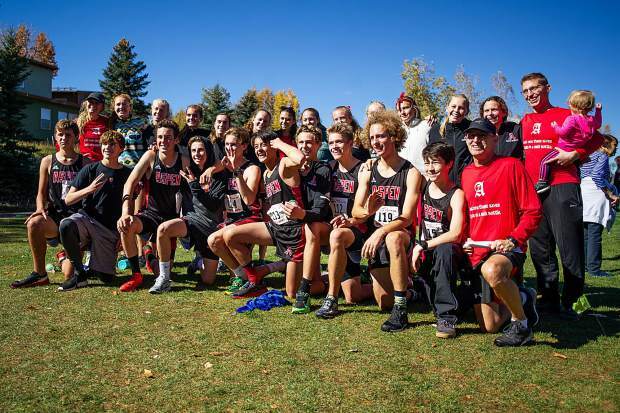 The Aspen High School cross country team poses for a photo after the regional meet on Friday at the Aspen Golf Course. 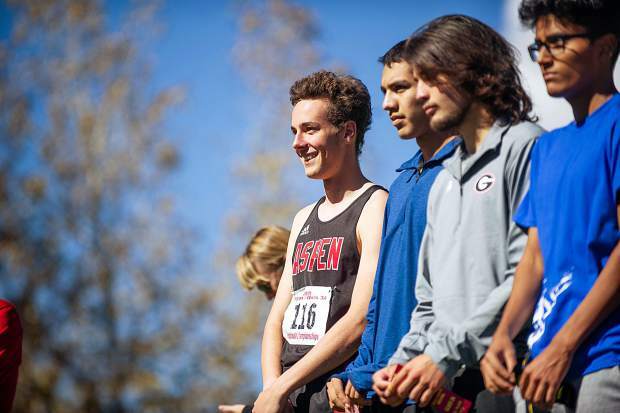 Aspen High senior Everett Olson, left, smiles at the crowd at the state regional cross country meet at the Aspen Golf Course on Friday morning. Olson took 5th overall. 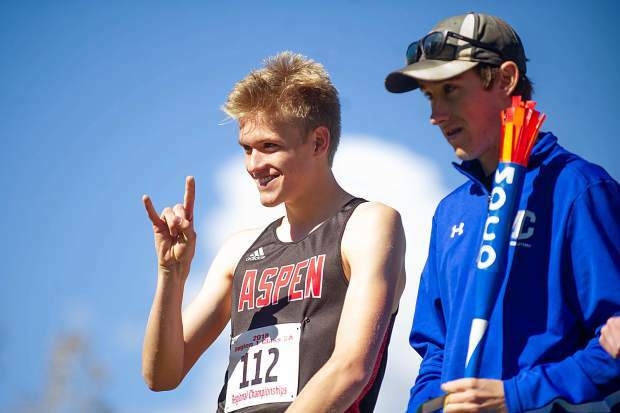 Aspen High senior Nicholas Galambos signals to the crowd at the state regional cross country meet at the Aspen Golf Course on Friday morning. Galambos took 9th overall. 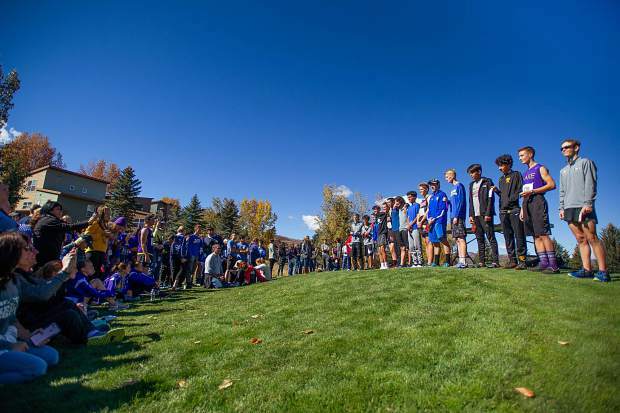 The top 15 boys that will be heading to State at the regional cross-country meet at the Aspen Golf Course on Friday morning. 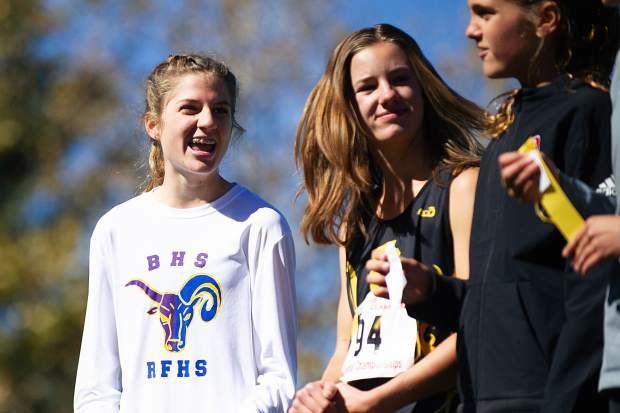 Basalt sophomore Sierra Bower, left, laughs with other girls that placed at the state regional cross-country meet at the Aspen Golf Course on Friday morning. Bower took first overall with a time of 20:03.50 and will be heading to State Championships. 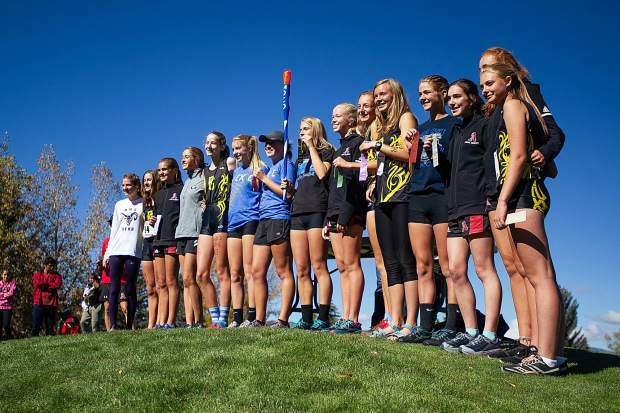 The top 15 girls that will be heading to State at the regional cross-country meet at the Aspen Golf Course on Friday morning. Complete meet results can be found at co.milesplit.com. 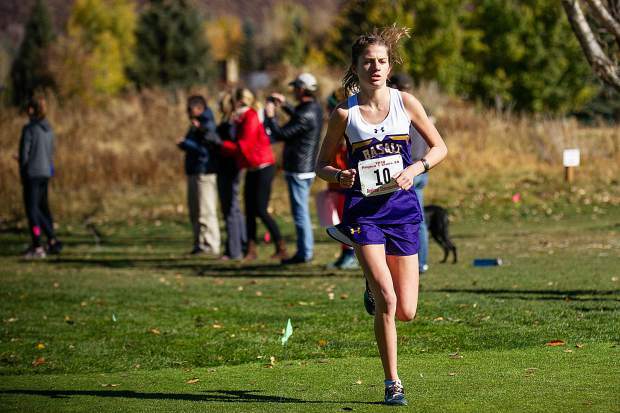 A summer injury delayed the start of Sierra Bower’s cross country season. 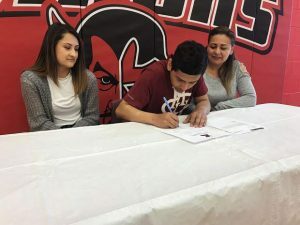 But the Basalt High School sophomore is certainly trying to make the best of the finish. 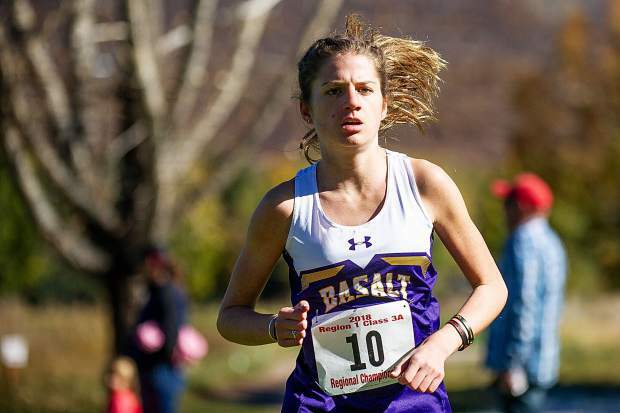 Friday at Aspen Golf Club, Bower won the girls Class 3A Region 1 meet with a time of 20 minutes, 3.5 seconds to secure herself a spot in the state meet next weekend. 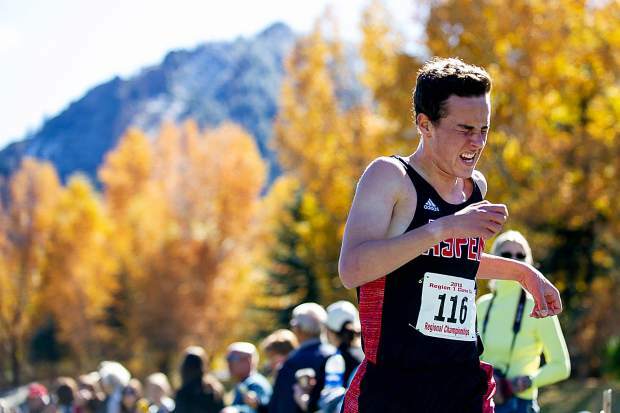 The regional meet, hosted by Aspen High School, was prove-it time for the runners. The top four teams qualified for state, allowing them to send a team of seven to the Norris Penrose Event Center in Colorado Springs for the Oct. 27 finale. Anyone to finish in the top 15 who did not run for any those four teams also qualified. Pagosa Springs won the girls team title with 43 points, followed by Moffat County (53), Aspen (67) and Gunnison (88). Basalt was fifth with 134 points and on the outside looking in. Bower’s win makes her the lone Longhorn, boy or girl, headed to state. Junior teammate Lily Gillis finished 18th, three spots shy of qualifying. Bower pretty much led the race start to finish, beating runner up Sierra Liverett, a Pagosa Springs freshman, by more than 22 seconds. 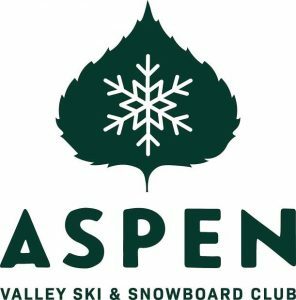 Aspen sophomore Kylie Kenny was third in 20:31.8, while her Skier teammate, sophomore Kendall Clark, was ninth in 21:03. Bower finished fifth at regionals last fall as a freshman, earning a spot at the state meet alongside senior teammate Carly Robinson. Bower ended up 35th overall at state in 2017, while Robinson was 54th. 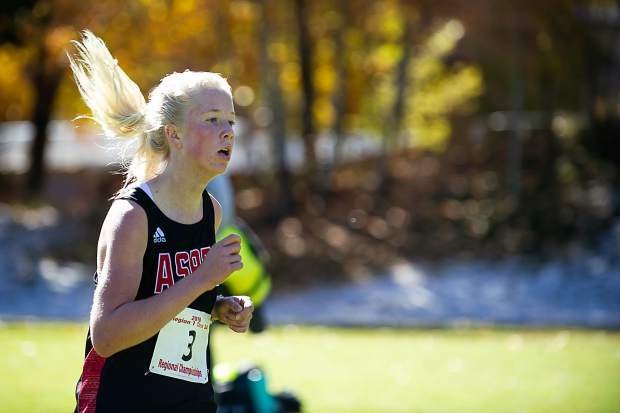 While the Aspen girls qualified as a team with their third-place finish, they had four that would have made it as individuals regardless with a top-15 finish. With Kenny and Clark leading the way, sophomores Macy Hopkinson (13th) and Edie Sherlock (14th) also put in a strong performance. 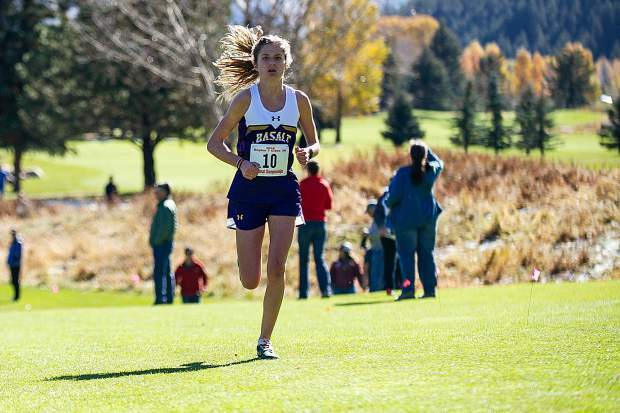 Aspen sophomore Bronwyn Chesner was next in 28th, with Basalt sophomore Sophia Moon at 29th. 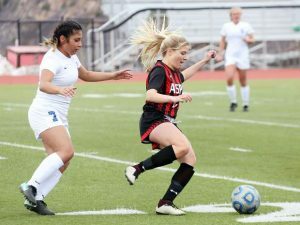 The AHS girls also qualified as a team last fall, where they ended up taking 12th at state. The Aspen boys also finished third and will go to state as a team. 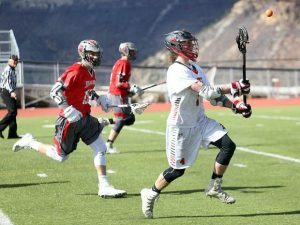 Gunnison took top honors on the boys side with 50 points, followed by Moffat County’s 86 points and the Skiers’ 118 points. Basalt was 11th out of 14 teams. 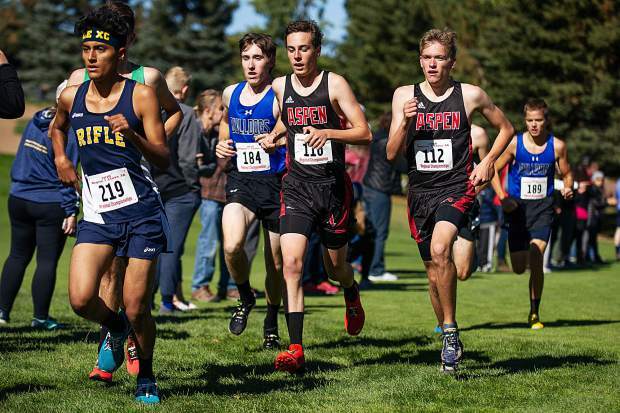 Aspen, which didn’t qualify any boys to the state meet a year ago, had two finish top 10 on Friday. Senior Everett Olson was fifth overall in 17:28.9, while senior Nicholas Galambos was ninth in 18:05.5. Gunnison went 1-2 in the boys race, with senior Colton Stice winning in 16:40.8 and sophomore teammate Alex Baca coming in with a time of 16:57.9 for second. Basalt’s top finisher in the boys race was senior Leighton Albright, who was 24th. 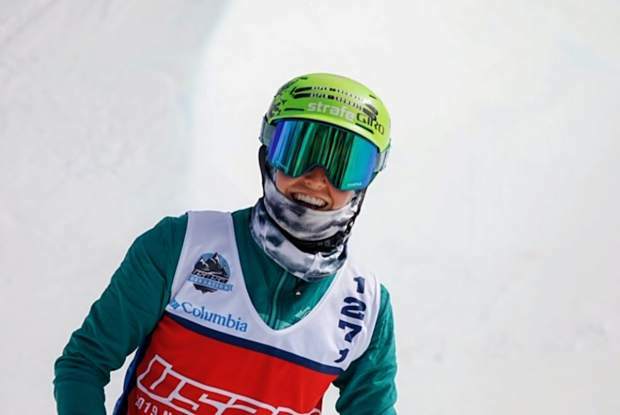 Aspen senior Colt Whitley was third for the Skiers in 27th.